The neighbourhood of Dunbar is one of Vancouver’s oldest and is known for its proximity to Pacific Spirit Park. It is recognized for its large trees, parks, horse stables, and quaint streets. The first settlers of this area were the Musqueam First Nations band; today the land still belongs to this group which is actually the only First Nations government situated within the city of Vancouver. Dunbar is also home to Pacific Spirit Park, one of the three parks experienced by runners at the BMO Vancouver Marathon. The park is a nature reserve with over 73km of hiking trails, 50km of which are reserved for biking or horse riding. The established area of Vancouver even has a book written after it – “The Story of Dunbar: Voices of a Vancouver Neighbourhood.” The historical book was published in 2007 by a group of community members named the Dunbar History Association. Residents of Dunbar describe it as a place that holds a sense of community and belonging with a value that is instantly recognized and felt by its members. Similar to Cambie neighbourhood, Dunbar also boasts the gorgeous cherry blossom trees that are unique to spring in Vancouver. BMO Vancouver Marathon runners experience a scenic 5.5KM of Dunbar, running through picturesque tree-lined streets, which often arch over the entire roadway. What’s more, the new Camosun Hill Challenge takes place in Dunbar. 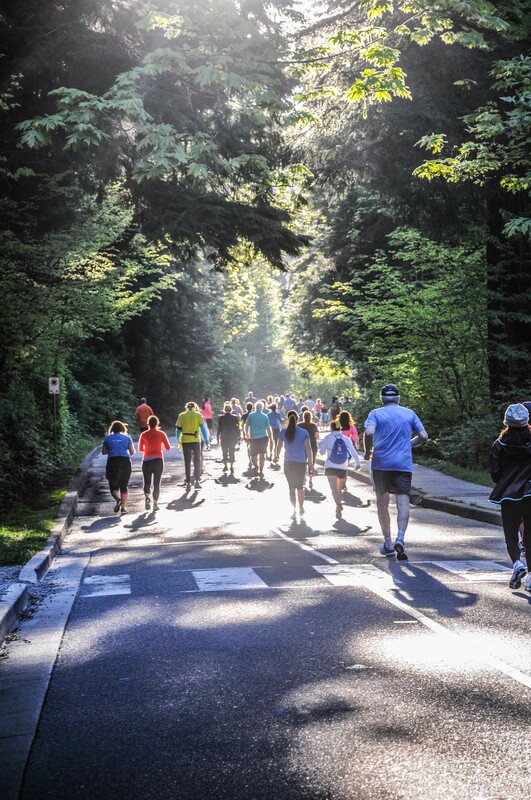 The challenge invites all Marathon participants to compete for the fastest time during the Camosun Hill portion of the course, taking one of the most intensive elements of the Marathon course and turning it into a positive challenge for runners.